When it comes to clogged drain related problems, then it can be any mishap ranging from an otherwise comply clogged drain that has developed a habit for enthusiastically throwing back all of its contents, to a corrugated pipe, located in the very foundation of your home. These rightly feared calamities can quite effectively turn a near picture perfect home into an outright disaster area. And this holds even more true if you have no idea about trying to get rid this particularly noxious issue. As a matter of fact, just such a calamity can effectively do a really nasty ‘hatchet job’ on many of your expensive furnishings not to mention the fact that all of this dampness can easily seep into the walls as well as lead to the formation of different types of mold all over the house along with various other related problems, such as peeling paint and dripping ceilings. And calls from irritated neighbors (especially for apartment dwellers) since their walls are also subjected to seepage, due to ‘your’ clogged drains. In this method, you have to just simply squirt around about 75 ml of powerful dishwashing liquid soap, slam-bang into the center of the clogged drain. Once that is done you should allow the liquid soap to do its job after it has slowly oozed all the way down to the clog itself. After around five minutes, you should proceed to pour a liter of boiling hot water right into the drain. This will make the liquid soap bubble up and become really slippery and thereby allow the clogging matter in the drain, to slip out and leave the drain clean enough. If the liquid soap does not work, you can move on to more drastic measures. There are few households in the country that are not in possession of a wire coat hanger. You should take the wire coat hanger apart and get rid of most of the bends so that it is able to form a single rigid line of wire. You should proceed to thrust this long wire right down until it is able to touch and push the clogged part of the drain, after making sure that its bottom end is hooked. After that, you should wriggle the wire vigorously enough, and keep prodding and pushing at the drain, till all of the foreign matter inside the drain, simply falls apart. Once that happens you should carefully pull out the garbage stuck inside and dispose of it properly. The remaining parts can be removed by flushing the drain with powerful jets of water. The bathroom plunger is easily available just about everywhere. However, few people are aware of the proper method of using it. The trick is to ensure that the seal is absolutely perfect. And there is no leakage of air inside the plunger’s cup, that will dilute the suction. 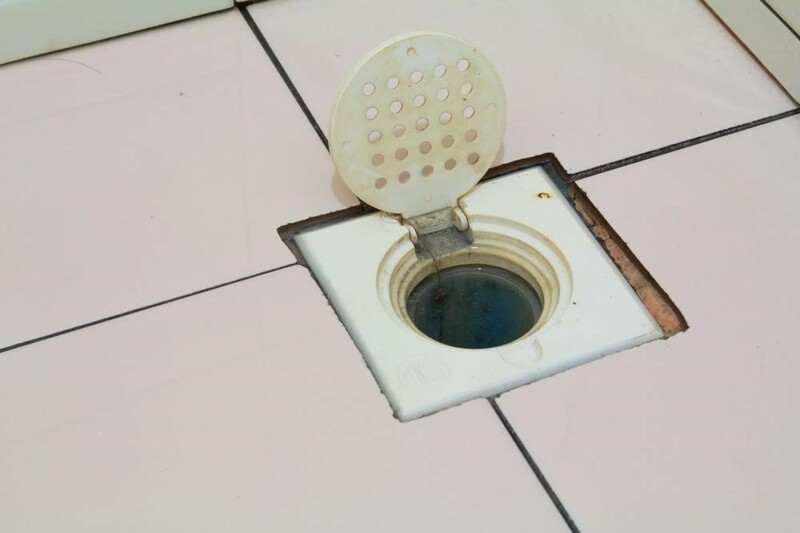 Once you have covered the drain completely, you should proceed to pump it smoothly and evenly, until the clog is removed and the water flows easily, though the drain. Hydrogen peroxide is a natural chemical that can be of great help in unclogging your drain. All you have to do is to just simply mix around one teacup full of hydrogen peroxide with approximately one heaped tablespoon of baking soda. You should pause and wait for the mixture to blend well together, and then simply pour it all down the blocked drain. You will see that the mixture will start foaming. This means it’s working. After some time, the foam will evaporate and then you can pour some water into the drain to see if it is open. The odds are that the baking soda and the Peroxide would have done their job and your drain will be clean. These devices are available at hardware stores and have been designed to unclog blocked drains. They have to be forced into the drain where the blades or burrs on their lower part will ‘saw’ through human or animal hair and fur or anything else that is blocking the drain. Besides these ideas, there are various water filtration systems that can make sure that your water is filtered enough. Installing a water filter will get rid of debris so there will be fewer chances of it clogging the drains. Oliver Finn is a passionate blogger having more than 3 years’ writing experience in health, fitness, and home improvement related topics. Currently, he is associated with Joyce WellDrilling and in the spare time, he plays console games.